Will I Always Have to Use Training Treats? "When can I stop using the treats? Will we always use them?" As a professional dog trainer, I hear this question fairly frequently. The vast majority of the families I work with are happy to use treats in the beginning, but there are also usually a few folks who are concerned about the long-term plan. Whatever their motivation, I'm happy to answer the question! The longer the dog has been doing a behavior, the more likely I am to use non-treat rewards: food bowl/toy, water, fetch, performing another behavior, tug of war, going outside, coming inside, etc. I worked with a dog who loved tugging open the refrigerator door (watch Echo do it here! ). I actually used that behavior to reinforce other behaviors: when she successfully completed one behavior, we ran over to the fridge and she got to tug open the door. Once the dog is fluent with the basic behavior, I get picky. Instead of getting a treat for every single Down, she only get treats for the Downs that are really fast--slow ones don't count any more. Applied at the right time, this change to an intermittent schedule of reinforcement makes the behavior stronger and more reliable. Another example of an intermittent schedule of reinforcement would be asking for multiple behaviors in a row before delivering a reward. So, if I asked Echo for a Down, Stay, Recall, Heel, Sit and then rewarded with the Tug. 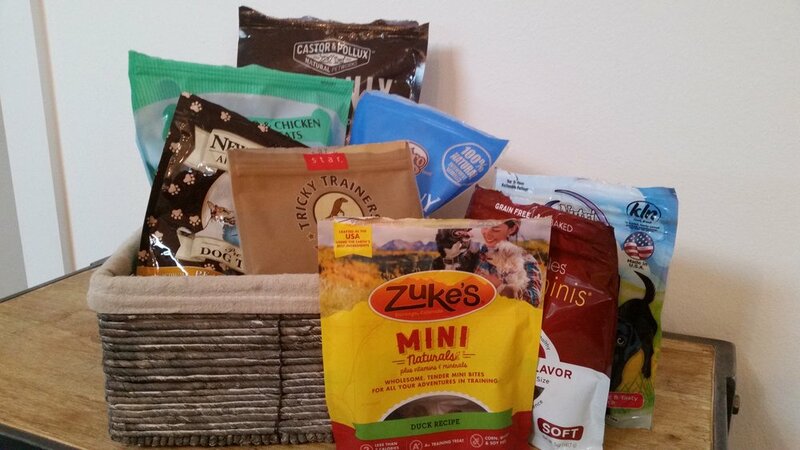 What non-treat rewards does your dog enjoy? Can I Take the Leash Off?